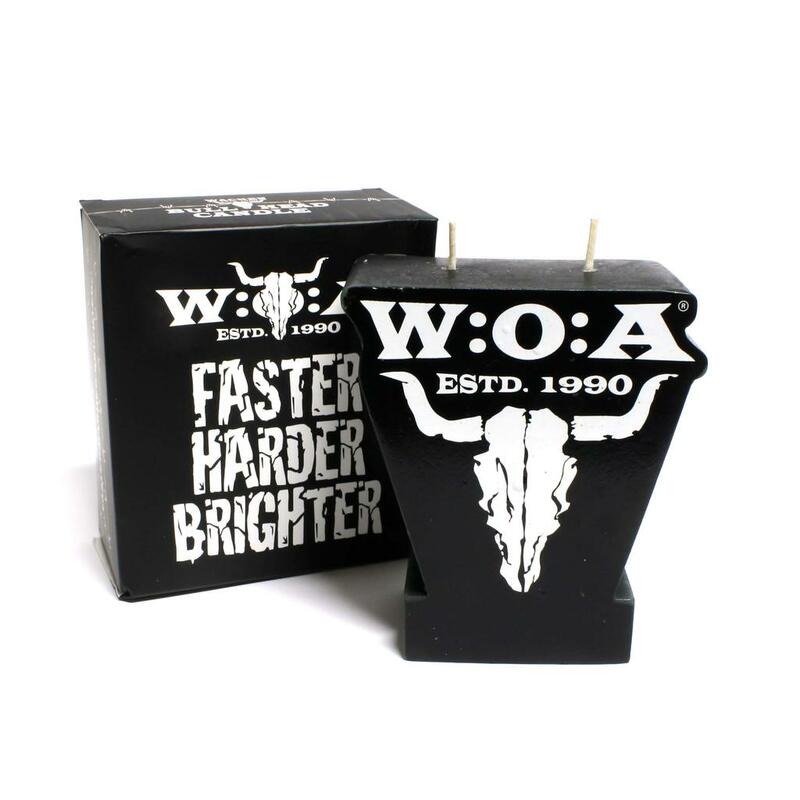 FASTER, HARDER, BRIGHTER: the fragrance-free W:O:A candle has two wicks and therefore ensures a romantic atmosphere. 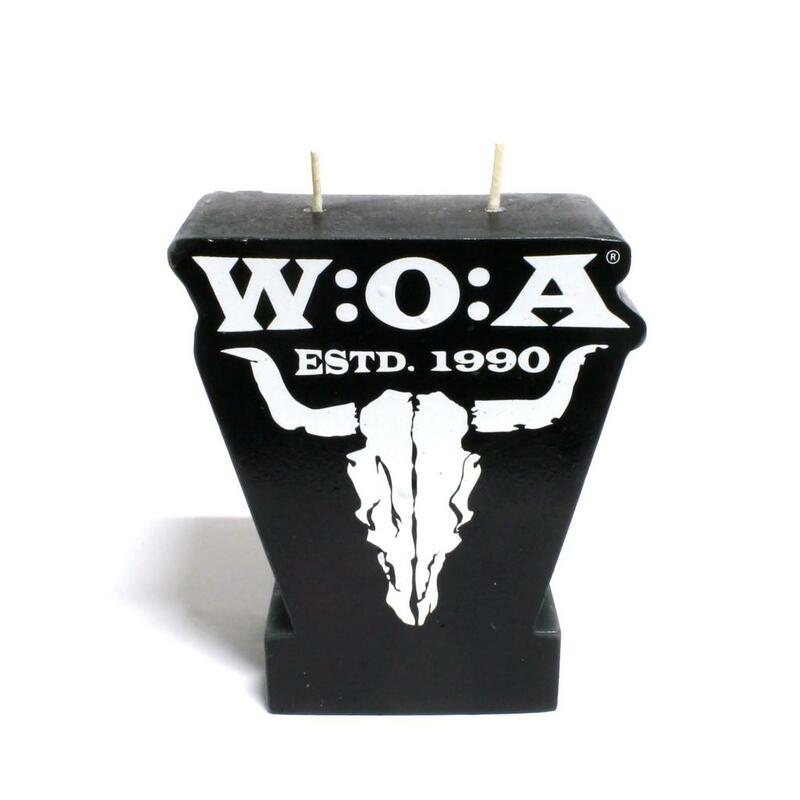 The candle, which is 11 cm high and about 9,5 cm wide, shows the W:O:A Estd. 1990 logo together with the famous bullhead and comes in our favorite color: black.